The client is a global provider of enterprise-class software solutions that support the entire information lifecycle - managing and protecting data, assuring the availability of applications and providing immediate access to information. The client engages in the development, marketing, and support of storage software products and services worldwide. Its solutions protect and manage information, assure the availability of applications, and provide access to business-critical information in distributed open systems environments. Their software products and services are used in information protection and recovery, hierarchal storage management, automated availability, email, and content management purposes. The client was looking to developing a new portal infrastructure that will serve as a personalized gateway to enhance delivery of all customer facing business services. The purpose of the TIBCO integration project is to integrate and automate its business processes and information required to provide these services. Xoriant was responsible for building a series of adapters, one for each system, which required integration. Standard vendor adapter were used where ever available. Xoriant’s role is architecting and implementing the solution using TIBCO’s middleware products. Xoriant was responsible for Project Management and implementation. 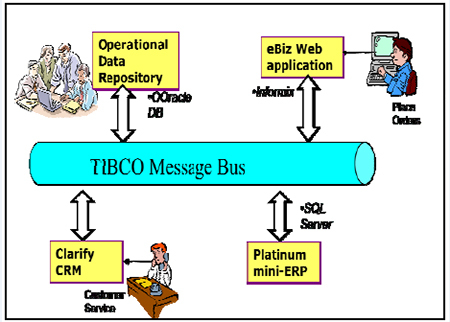 The TIBCO integration is based on TIB/ActiveEnterprise suite of products – Rendezvous, the core message bus and several adapters for different databases and the Clarify system. 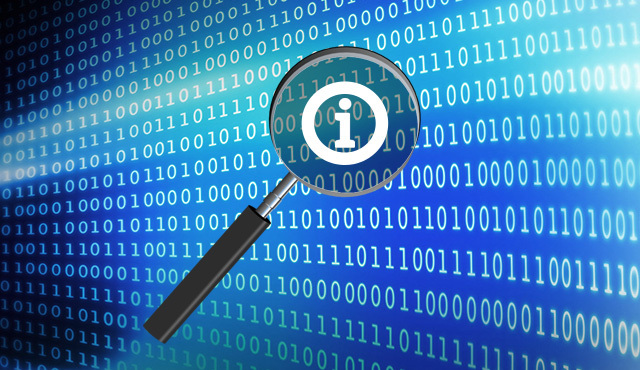 Information is exchanged using TIBCO’s subject based publish and subscribe. The integrated enterprise will allow internet users to place orders and check order statuses over the web seamlessly as a manual order processing is done. Integrating Clarify will also help build stronger customer relationships. Platinum Adapter (based on MS SQL 7) translates transactions from the Tibco Bus In and Out of the ERP system that supports the Accounting, Financial and Order Management business requirements. Clarify Adapter translates transactions from the Tibco Bus In and Out of the CRM system that supports internal Technical Support and Customer Support. This CRM solution ultimately enables self-ser and portals on the web by allowing the customer to automatically open support cases, track shipments and request literature or proposals. eCommerce adapter (based on Informix) transfers data in and out the e-Commerce database. It is an internally developed B2B application used by the company’s premier business partners for Purchase order base transactions. WebAuth Adapter (based on Informix) is another internally developed B2B and B2C applications used by premier business partners and customers, which allows instantaneous registration and authorization of software products via the web. Selectica Adapter (based on Oracle) translates transactions from the Tibco Bus in and out of the selectica application guiding customers through a series of selections that accesses configures and suggests products that best meet their needs. Operational Database Adapter (based on Oracle) translates transactions from the Tibco Bus in and out of the Operational Data Repository. The integrated enterprise will allow internet users to place orders and check order statuses over the web seamlessly as manual order processing is done. It also will allow the client to communicate and transfer order information to customers; data moves efficiently and reliably among systems and beyond the enterprise. Proven Tibco technology helps the client strengthen its existing business relationships and create new opportunities. To enable customers to interact with the company on-line. Xoriant was responsible for building a series of adapters, one for each system, which required integration.